Pilot testing lets you open up your software for a controlled group of people to use, evaluate and provide feedback on its features. I've been a part of this process for many of my consulting engagements, but this is my first time seeing every aspect of the pilot test for my own software. The process has been more valuable than I ever could've imagined. I wanted to put a few tips together for other Software as a Service (SaaS) start-ups. We chose 10 - 15 close friends and family for our first round of pilot testing. They varied in technical experience, industries and motives for using our software. The size of this group was perfect because we were able to effectively respond to and incorporate their feedback into the software. Also, each individual represented a slice of our potential target market so we valued their opinions greatly. Smart people are more inclined to provide you with useful feedback. Instead of "I don't like it", we received notification of the problem and suggestions for how to improve it. "To make it easy, I'm not looking for ANY positive feedback. This is out of respect for your time and to encourage ONLY suggestions for improvement, reports of broken features or general feedback on the system as a whole." This is especially important when people you know are testing for you because they don't worry about hurting your feelings or feel obligated to pay you a compliment along with their criticism. If you are unfamiliar with Eric Ries' book, The Lean Startup, check it out! As quickly as you can, build your Minimum Viable Product (MVP) so you can put it in front of your group of smart people. The more quickly they can provide you with feedback, the less time you waste guessing which feature to add next. This will also allow you do some course correction so you can be sure you are on the right track to providing the most value to your potential customers. Make sure your pilot testers know you are appreciative of their time and that their feedback is being incorporated. Nobody wants to spend their time learning to use your software, putting their thoughts together and submitting it to you only to never hear a response or see any evidence that it mattered. Be sure to respond quickly when feedback is received, keep them up-to-date as you release new versions containing their suggestions and overall make them a part of the development process. As the amount of feedback begins to slow from this round of Pilot testing and we implement the features and suggestions we received, we intend to open up a future round of testing to a larger audience. This will give us a chance to put a better foot forward for the next group as well as receive fresh perspective and feedback. In our case, 2 rounds should be enough and we feel we'll have a premium product as a result. Obviously, one of the biggest benefits of SaaS is the ease of releasing updates without our customers having to actively do anything. We will never stop listening to our customers and improving our product even after we have officially launched. Where did the projects go? We want Relayd™ to be the easiest ticket system to use, but we're not there yet! After hearing the initial thoughts from our pilot clients, we decided the first change is to minimize the concept of a "Project" in the latest version 2.0.301 released on Dec. 23, 2013. A Project is simply a way to group tickets together for a client. For instance, as a general contractor, let's say you have a residential client (Mr. & Mrs. Jones) who wants a pool house built. You can create a project called Pool House and any tickets you or the Jones' create are added to that project. This is especially useful if you do a lot of work with the Jones' and need to keep things organized. We started out with an entire Projects section where you can add/edit/manage all projects. But why have an entire section dedicated to projects? A project cannot exist if it does not belong to a client, so we decided to move all project functionality to the Client screen. After all, if you want look at a project you are working on for the Jones', wouldn't it make sense to go to the the Jones' client? 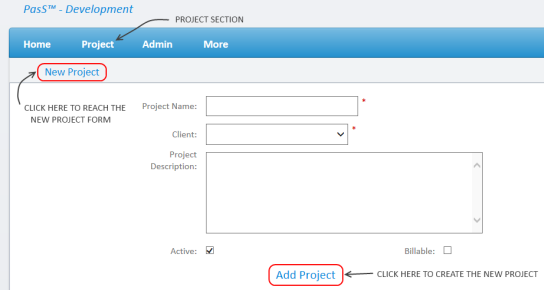 Plus, you can now you can add a new Project on the fly while you are adding a new ticket. This means you don't have to have the Project created already or even know where you would go to create one. It just makes sense! We eliminated an item on the menu, removed 3 dedicated pages for viewing, adding and editing projects and increased efficiency by allowing you to add a new ticket AND a new project from the same screen. Now we're on the hunt for other areas we can optimize! Stay tuned for even more improvements next week and don't forget to suggest ideas if you spot anything we could add or do better. Relayd™ is in Pilot Testing!! Relayd™ is an easy to use web-based ticket management solution for small service-based businesses. A small business owner described their struggle with receiving and managing requests from their clients. Sometimes it was a phone call or a voice mail. Others it was a text message, e-mail, hand-written note or Morse code. With the wide variety of communication methods, it was difficult for this business to prioritize the work, schedule and assign it to be completed, or even communicate the status of the work back to the client. Implementing Relayd™ allowed this business to provide their clients with a single method for submitting work requests. Since requests are never submitted handwritten on a napkin anymore, they never lose track of them because everything is backed up and digital. Clients don't have to call to ask when something is scheduled or who is working on their request because they can log in to see the status in real-time. E-mail notifications also come right to their inbox as soon as notes are left on the ticket or the status changes. We now have 10 companies testing Relayd™ for us and providing feedback! If you are interested in helping us test or simply want to know when the system is available, please give us your address on the sign up page. Thanks to everyone who has helped us get this far and we're excited to open up to the public in the next few months. Our target date for final pilot testing and invitation only sign-ups is February 1, 2014. We plan to be open to general public on April 1, 2014.